Everyone in my family loves bikes. Well..almost everyone. I'm not a big fan. 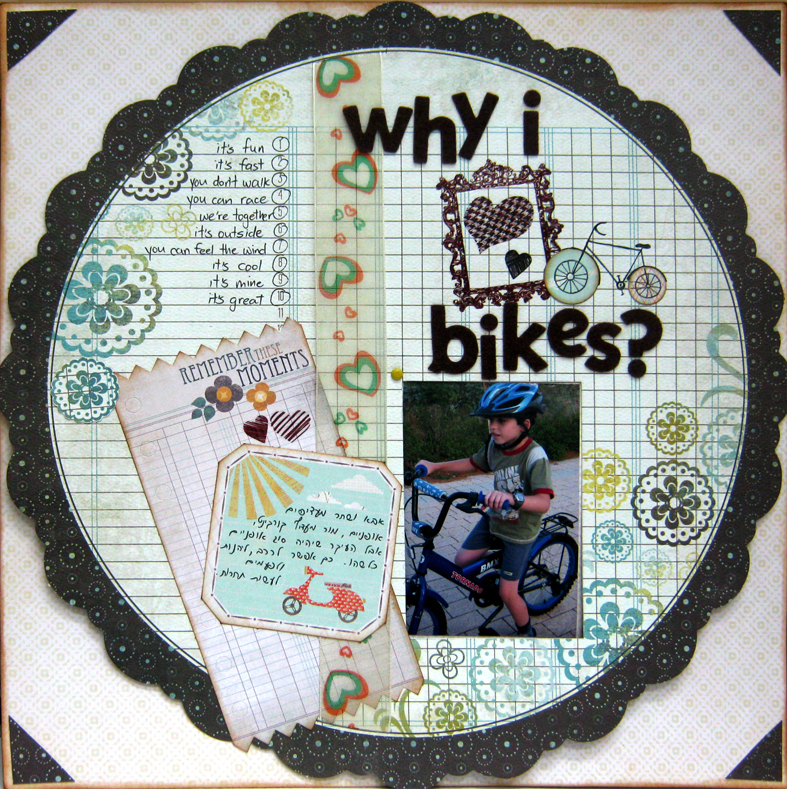 I wanted to create a special layout with bikes photos, but I wanted it to be really special not just with a bicycle sticker or cutout. I decided to make a wheel layout, a layout that would turn like a wheel of a bicycle. This is a DT layout for My Punch's Kit of the Month Club. It is made of two papers and a brad. 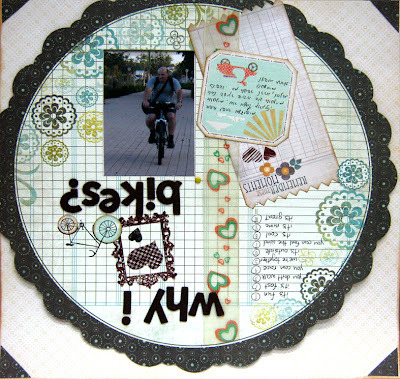 I cut a window in the round scalloped paper and attached it with a brad to the center of the background paper. Then I adhered the photos to the paper. First the bottom photo, then I turned the wheel and added the second photo. 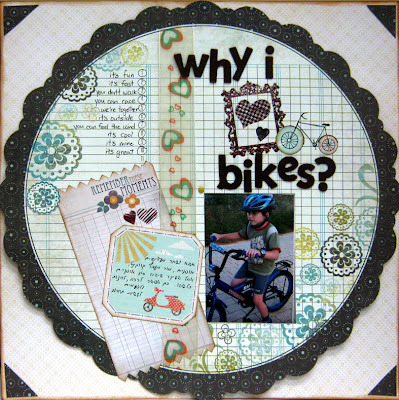 I added embellishments and a title to finish the layout. BTY I didn't have any bicycle sticker or cutout in the kit, so I ended up drawing it myself! It is beautiful. Consider having the pictures on a paper underneath. Have that piece turn. The under piece would need a tab to help turn it. Then both pictures would be up right.